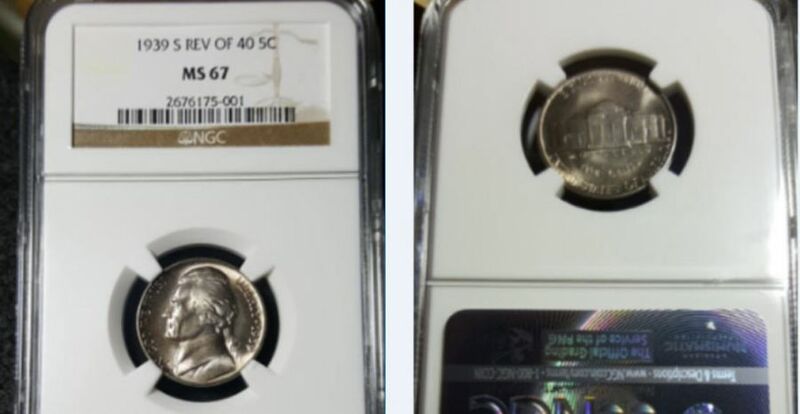 The Reverse of 1940 just doesnt measure up in quality like the Reverse of 1938 from the San Francisco Mint. Most in this type the dies were worn and just didnt show eye appeal that well. It has been quite sometime since my last post but I had to show this beautiful coin. This was haunting me for years trying to find one in this grade. When I came across this 1939-S Reverse of 40 in MS-67 grade I had to take that second look. Why this particular coin is special to me is because of the rare quality condition and luster it shows. often seen with an off-luster with worn dies and weak strikes. Gem coins are quite rare. finest example certified by PCGS is a single MS67. NGC POP Total Certified 94 / (4) in MS-67 with (1) MS67-FS!